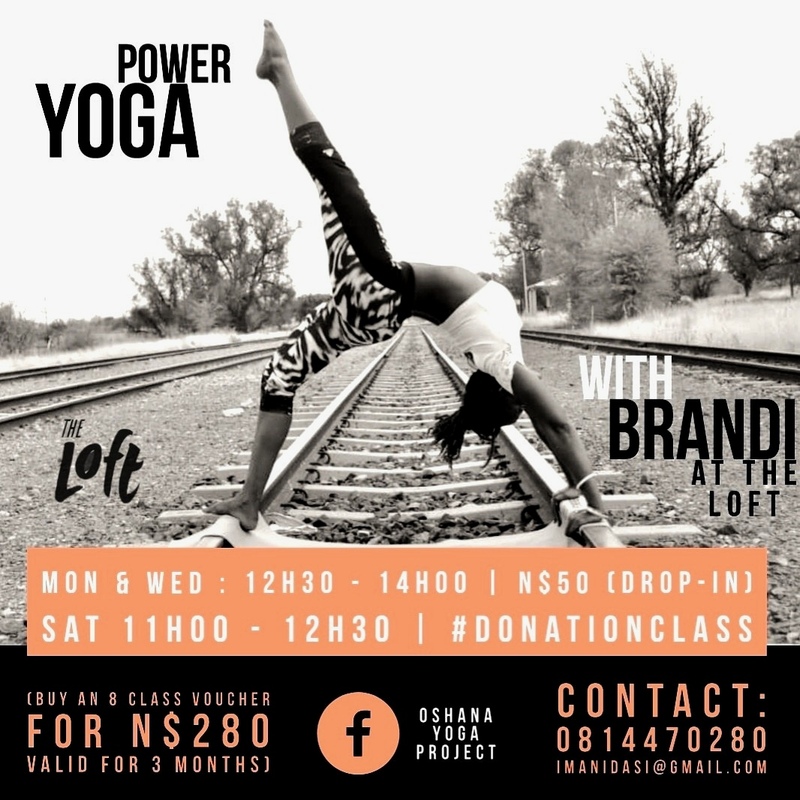 Brandi will be teach power uoag at The Loft every Monday, Wednesday and Saturday. Monday and Wednesday classes are 12:30 to 14:00 and N$50. Saturday classes are community classes where donations are welcome.